I can stand on my head. I have a little magic and a trick or two. I once swallowed thirty oysters in a minute. I am not domestic, I am a luxury, and in that sense, necessary." Nothing pleases a storyteller more than to have their stories heard. And to hear back, in return. ...Not the slavering, whimsical monsters from childhood fancies, but real Dragons - fierce, complex, wondrous, and wild. They do not require our belief; they never have. With hard science and myth, empirical wisdom and original line drawings, The Dragon Keeper's Handbook is the draconic enchiridion for the modern world, providing everything you need to know about these extraordinary beings. From disparate theories of Dragon evolution and the golden geometry of their form to modern conservation efforts and how to release a well-weaned orphan back into the wild, this book answers all your questions, even those you didn't know to ask. From awe-inspiring Cosmic Creators to wee pisuhänds guarding hearth and home, discover the habits and habitats of Dragons and pseudo-dragons both familiar and rare. The Dragon Keeper's Handbook shows us how human and Dragon lives are bound together and why Dragons are now - and ever will be - relevant: In their wildness lie lessons for us all. "Dragon Keeper's Handbook is brilliant. I find myself looking to skies - hoping for a glimpse of a Dragon. Shawn's writing is inspirational and full of amusing imagination; her writing creates a world where Dragons truly exist. Where King made us believe in vampires, Shawn will make you believe in Dragons. She has taken Dragon lore to its ultimate, and then pushed it beyond ultimate. Shawn is a writer that invites attention and envelopes readers in a superior and noble adventure in literature. This book is obviously well-researched, but it doesn't have an academic feel. It's fun and interesting. And pay attention! 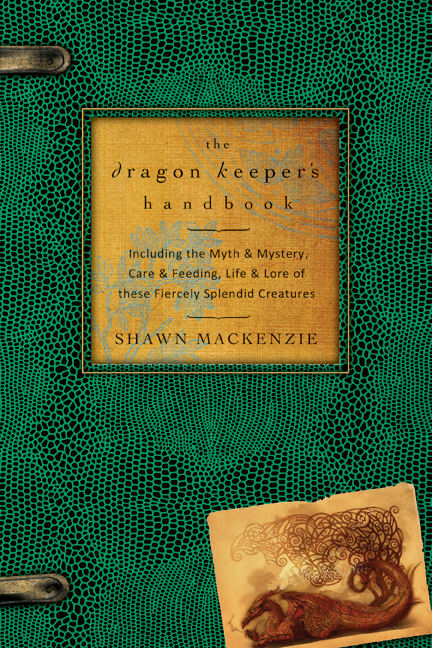 Shawn puts little tidbits throughout that will make you laugh out loud...."
"...Shawn MacKenzie's profound respect and love for dragons, their lore and their keeping permeates this exhaustive exploration of all things dragon. Her labor of love is bound to be the treasure of any true dragon enthusiast as she details the finest point of "the care & feeding, life & lore of these fiercely splendid creatures...."
"Somehow Ms. MacKenzie manages to be both erudite and down to earth, with prose that is both lushly poetic and wryly witty. Her detailed descriptions are saturated with Dragon lore, yet also thoroughly modern and amusing ("Flying after a heavy meal of flesh and bone is a little like going cliff diving after Thanksgiving dinner"). Her descriptions of Dragons are enchanting - no pun intended - and within a few paragraphs you know without a doubt not only that Dragons are real, but also that it matters a great deal that we respect them and understand their needs, since our future is linked to theirs. Be prepared to learn about a great deal more than you expect, as Ms. MacKenzie uses her formidable intellect to range throughout history and all over the globe, leaving no stone unturned in order to bring us the ultimate guide to these wise, fierce, majestic creatures." 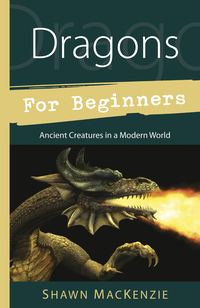 This essential, comprehensive introduction to Dragons is filled with what everyone must know about these extraordinary creatures. Whether a casual dracophile or a dedicated Dragon keeper, come explore what Dragons have to teach us about the world and ourselves. Discover how, with care and devotion, you can help save them from extinction. "Shawn MacKenzie does it again! Well written and very engaging. If you love Dragons, you must add this book to your library!" As food nourishes the body, so stories nourish the spirit. Put them together and marvelous, magical things happen. In the shadow of southwest Vermont's Green Mountains, the writers of Southshire Roundtable set winter-weary minds and palates to the challenge. This was the genesis of Southshire Pepper-Pot. The result is an eclectic mix of prose and poetry full of whimsy, humor, reflection, wonder, along with a mouth-watering collection of recipes sure to inspire the cook or baker in us all. Edited by Stefano Donati, with prose, poetry & recipes by Shawn MacKenzie, Stefano Donati, Justine Metzler, Jane Chamay, K.D. Norris, Marie White Small, Bob Williams, Adriana DiGennaro, Bruce Lierman, and Ed Cyzewski. 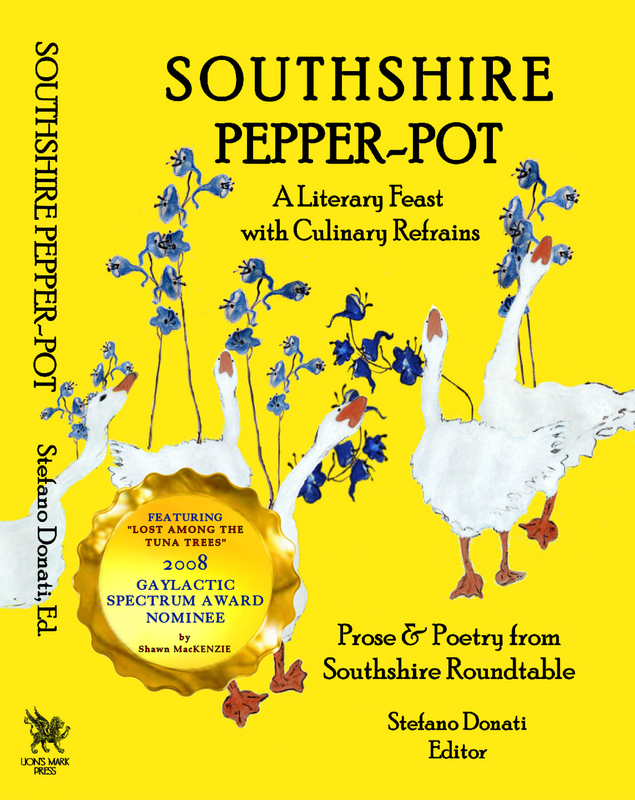 "Southshire Pepper-Pot is a tasty book, filled with delicious stories to be munched on slowly with a glass of wine. This is just the kind of book I love to discover and savor, with recipes that top off a full-course meal of literary victuals." "This eclectic collection simmers and sizzles with warmth and wit; consume slowly and with gratitude." Michael J. Murphy, Ed.D., DFP.